I have heard that to tell if a person is healthy, just look at the eyes. I don’t know how true that is, but with a horse, I definitely try and encourage people to look at the hoof, and the hoof will show you 95% of what the horse is feeling. 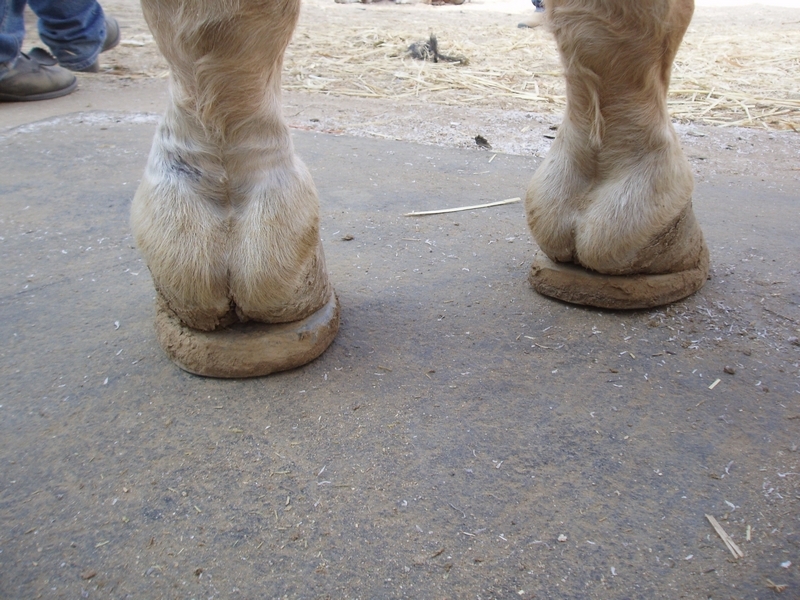 If people would look at the hooves when buying a horse, it would save a lot of heartache, and a lot of money. 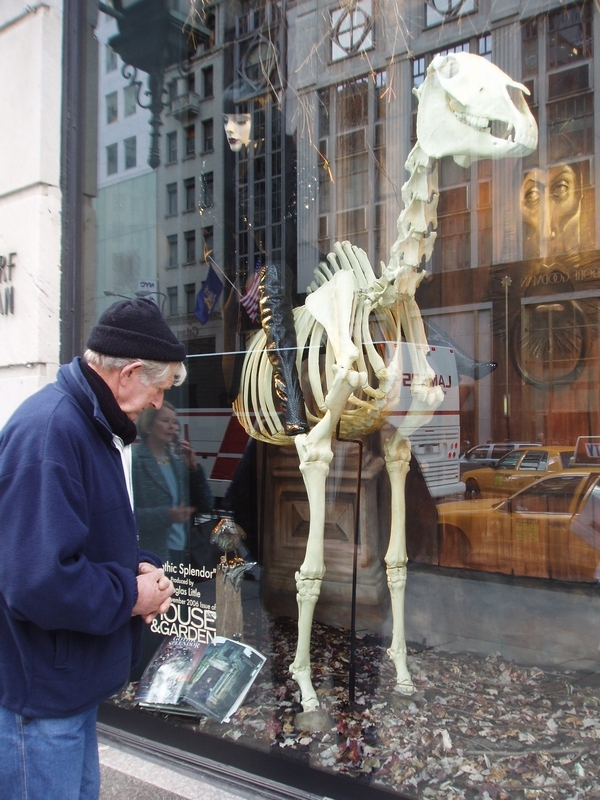 I was sight-seeing in New York in November, thinking of anything but horses, when I saw a horse skeleton in a Fifth Avenue window display. (Pic 1) Fortunately the horse was dead, as its front feet had been trimmed to the shape of hind feet, so it must have had a pretty miserable life. 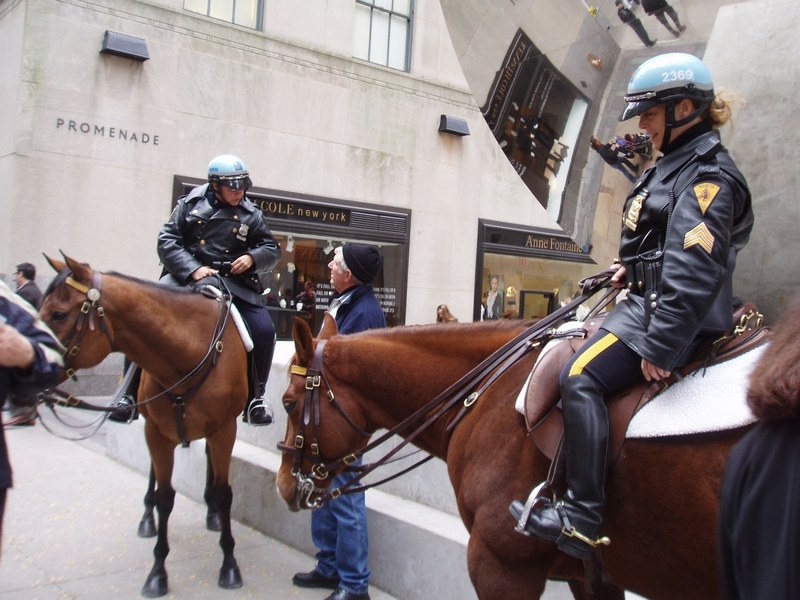 I continued along Fifth Avenue, and stopped to chat to two mounted policewomen, both on beautiful quiet horses, (Pic 2) but both horses were far too long in the toe (Pic 2a & 2b) and must have been most uncomfortable standing all day on concrete and bitumen. 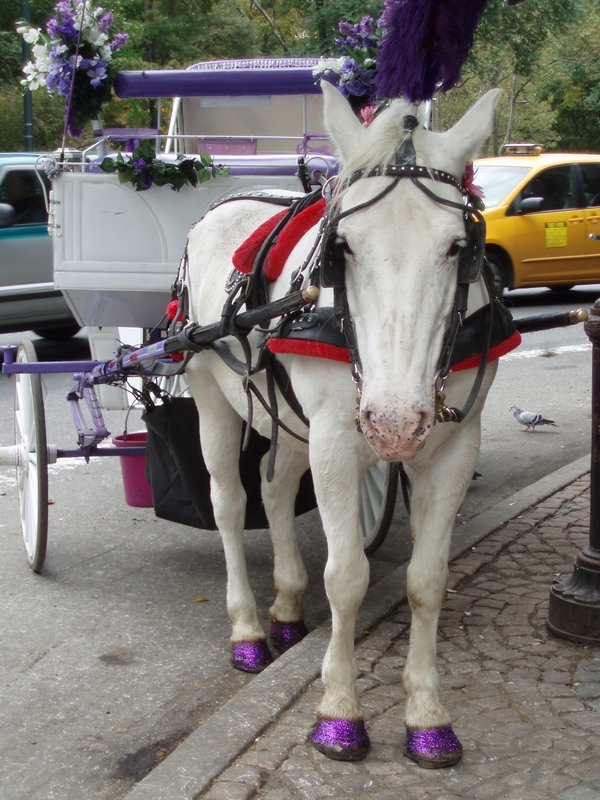 Central Park begins at the junction of Fifth Avenue and West 59th Street where around 40 guides with their horses and carriages take tourists for rides. 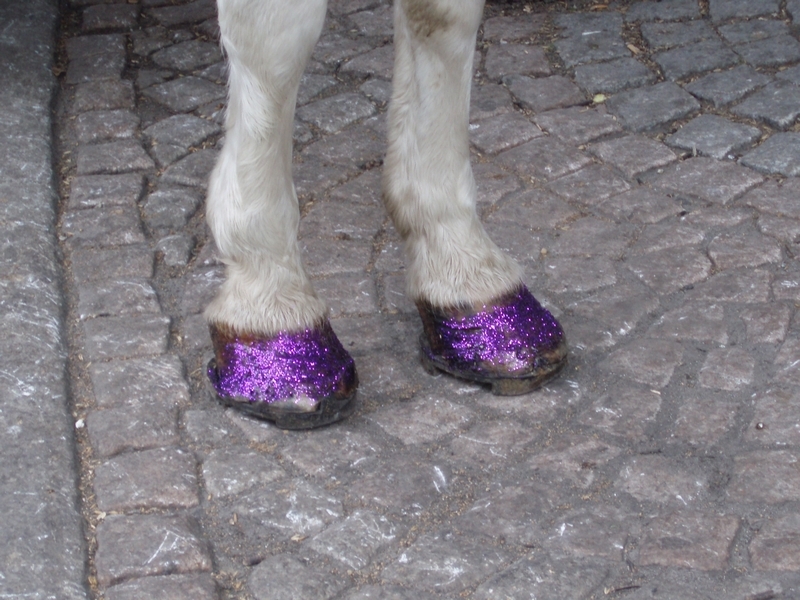 The horses are decked up to the nines, right down to purple glitter on the hooves (pic 3) but those same hooves were dumped at the toes and chocked up on rubber square toed platform shoes that protruded way past the heel buttresses and also lifted the frogs right off the ground (Pic 3a). 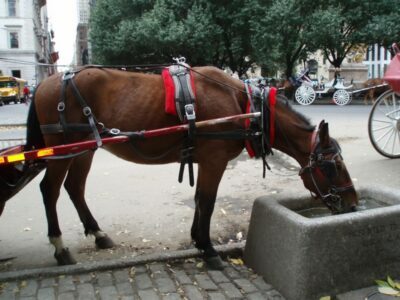 I searched hopefully for a well shod horse, but if there was one, it was not to be found. 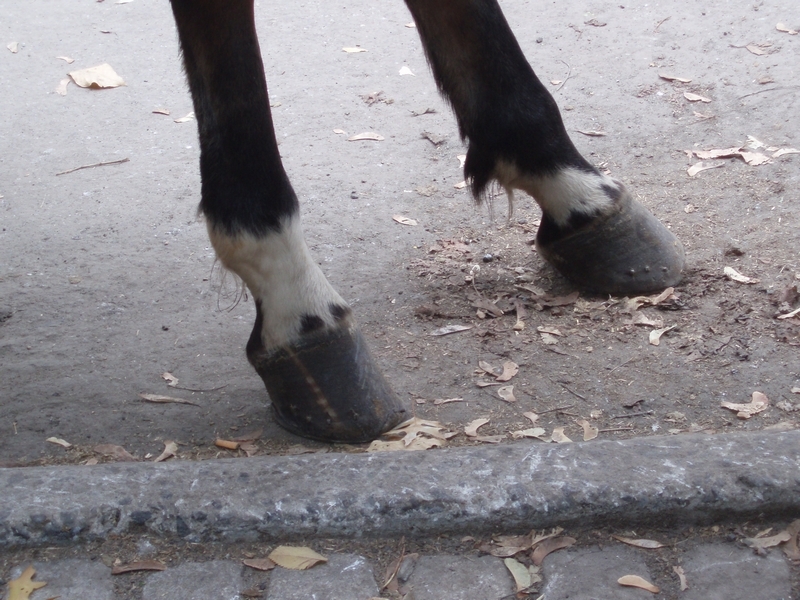 One poor horse (Pic 4) had such high heels (Pic 4a) that you had to wonder about the mindset of whoever had shod him. Later that week in Baltimore, I came on a statue of a horse (Pic 5), firmly concreted in to a plinth. His toes were so long that maybe in real life that was the only way he could remain upright. Gaited horses (Pic 6) are popular in the States, shod with four inch wedge platforms, nailed and clamped on to the hoof, supposedly to give the horse an animated high leg action to satisfy the ego of the person in the saddle. This is a trend that defies any logic or respect for the horse. Hopefully it is a trend that won’t reach Australia, or if it does then I do hope I will have retired by then. 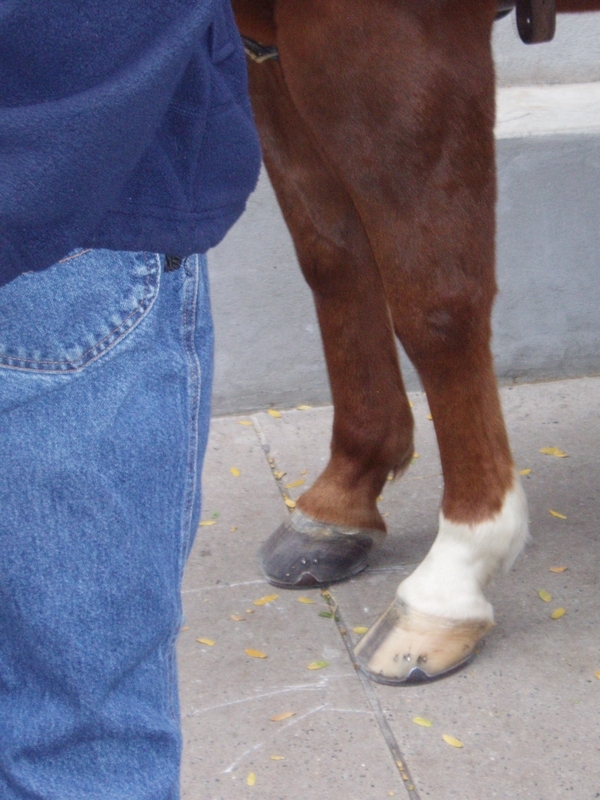 Back in California, I was asked to inspect a horse perched on graduated heeled egg bar shoes (Pic 7). These shoes had been applied to overcome toed out splayed front feet, low contracted heels and long toes. 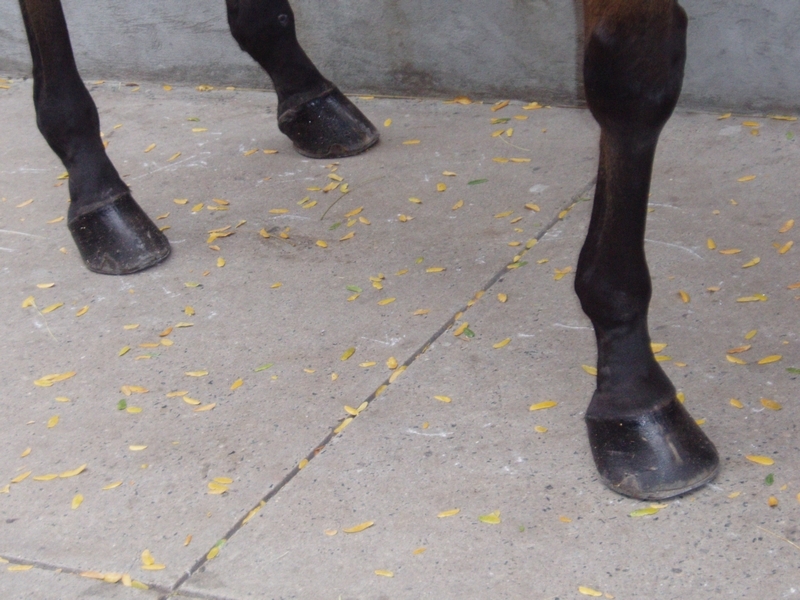 The shoes weren’t helping the contracted heels at all, and I was able to correctly balance the hoof using my HOOF-LINE ruler in one shoeing, (Pic 7a) which allowed me to cut off the rolled heels, and to get the frog on the ground. The horse was still splay-footed because the legs were so bent, but it was no longer lame. This horse was in a riding school, but was totally unsuitable for the purpose because of its bent legs and poor conformation. 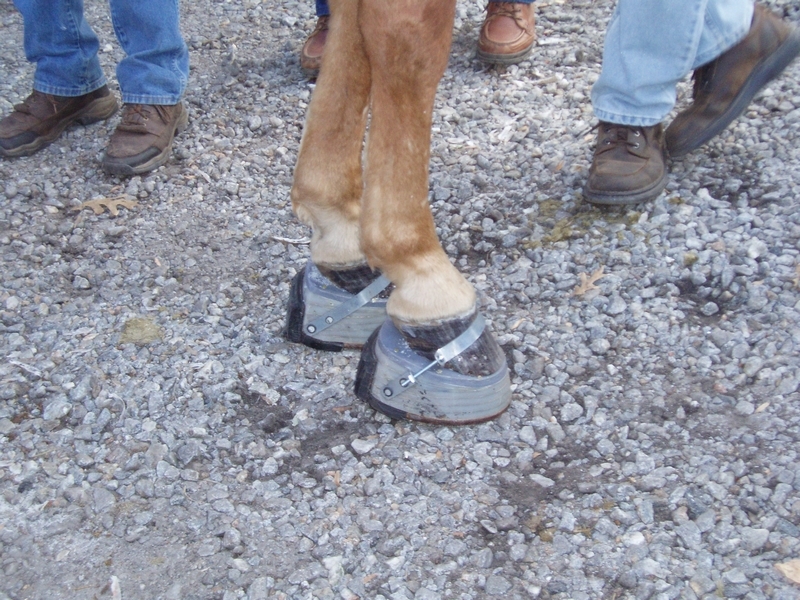 All this reinforces my philosophy that anything other than a standard trimming or shoeing is really only a bandaid which causes these huge problems that we see in our horse shoeing industry, not only in Australia, but around the world.